Amanda Hopkinson is Professor of Literary Translation at City University, London and holds a visiting professorship at Manchester University. 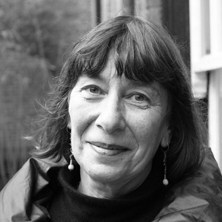 From 2004-2010 she was Director of the British Centre for Literary Translation at the University of East Anglia, and prior to that the first International Literature officer at the Arts Council. She translates from the Portuguese, Spanish and French and writes books on Latin American and European photography.